Highly sensitive beings can have a tendency to see the world through rose colored glasses. It's a measure of safety, naivete (sometimes), but also a gift. Seeing the best in others when we aren't well boundaried can lead us down roads where we end up in trauma. Many toxic people count on us wearing those glasses and keeping them foggy. 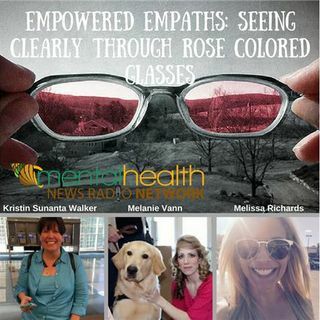 We cover a lot of ground on this show with our original trio of Melanie Vann, Melissa Richards, and Kristin Walker. The message is simple though - wear ... Más informaciones those glasses proudly, just remember to keep the lenses clear.